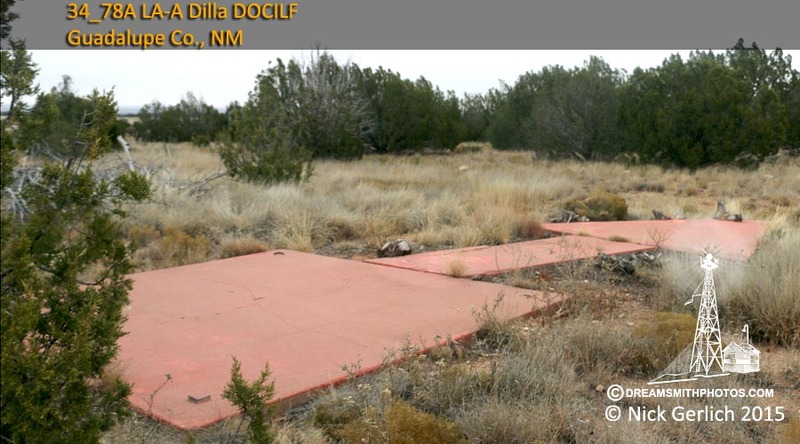 Dilia.—Department of Commerce intermediate field, site 78A, Los Angeles-Amarillo Airway. Five miles S. Altitude 5,300 feet T shape, 103 acres, sod and dirt, level, natural drainage; two landing strips, 4,273 by 660 feet N./S. and 3,615 by 500 feet E./W. Directional arrow marked "78A, LA-A." Beacon, boundary, and approach lights. Beacon green, flashing characteristic "8" (_...) No servicing facilities. Dilia.—Department of Commerce intermediate field, site 78A, Los Angeles-Amarillo Airway. Five miles SW. of Anton Chico, five miles S. of Dilia. Altitude, 5,300 feet. T shape, 163 acres, sod and dirt level, natural drainage; two landing strips, 4,273 by 6(!0 feet N./S. ar. 1 3,615 by 500 feet E./W. Directional arrow marked "78A, LA-A." Beacon, boundary, and approach lights. 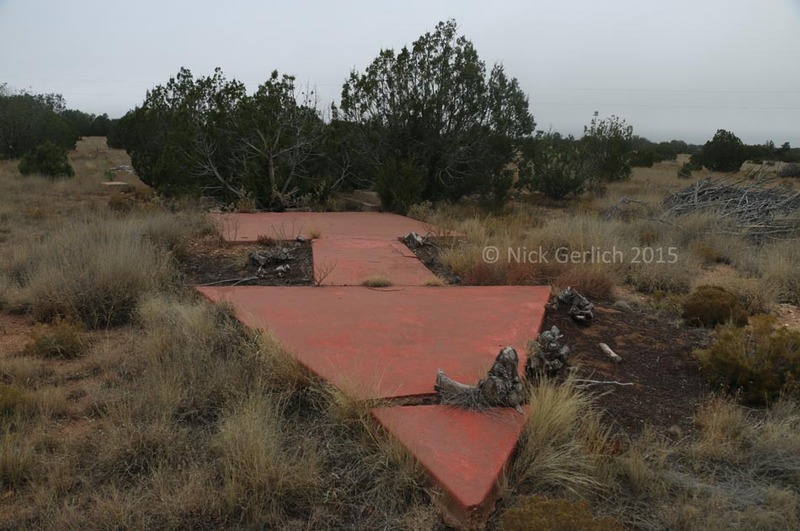 Beacon green, flashing characteristic "8" (— . . .). No servicing facilities. Teletypewriter. Dilia.—Department of Commerce intermediate field, site 78A, Los Angeles-Amarillo Aim-ay. Five miles SE. of Anton Chico, 3 miles SW. of Dilia. Altitude, 5,300 feet. T shape, sod and dirt, level, natural drainage; two landing strips, 4,273 feet N./S. and 3,615 feet E./W., entire field available. Shed roof marked "78A, LA-A." Blinker, boundary, and approach lights. Blinker, peen, flashing characteristic "8" (_...) No servicing facilities. Teletypewriter. Emergency aviation gasoline. Anton Chico.—Department of Commerce Intermediate field, site 78A, Los Angeles-Amarillo Airway. Five miles SE. of Anton, Chico, 3 miles SW. of Dilia. Altitude, 5,280 feet. Irregular, sod and dirt, level, natural drainage; two landing strips, 4,273 feet N./S., 3.615 feet E./W. ; entire field available. Shed roof marked "78A LA-A." Blinker, boundary, and approach lights. Blinker, green, flashing characteristic "8" (__..) No servicing facilities. Low-powered radio station, KCCO, for point-to-point and communication with aircraft, operating frequency 278 kc. Anton Chico.—Department of Commerce intermediate field, site 78A, Los Angeles-Amarillo Airway. Five miles SE. of Anton Chico, 3 miles SW. of Dilia. Lat. 35°08'; long. 105°05'. Alt 5,280 feet Irregular, sod and dirt, level, natural drainage; two landing strips, 4,273 feet N./S., 3,615 feet E./W. ; entire field available. Shed roof marked "78A LA-A." Rocky knoll to N. and S. Blinker, boundary, and approach lights. Blinker, green, flashing characteristic "8" (_..). Radio marker beacon, call KCCO, identifying signal "B" (_...), operating frequency 230 kc. Teletypewriter. No servicing. Anton Chico.—Department of Commerce Intermediate field, site 78A, Los Angeles-Amarillo Airway. Five miles SE. of Anton Chico, 3 miles SW. of Dilia. Lat 35*08'; long. 105°05\ Alt 5,280 feet. Irregular, sod and dirt, level, natural drainage; two landing strips, 4,273 feet N./S., 3,615 feet E./W. ; entire field available. Shed roof marked "78A LA-A." Rocky knoll to N. and S. Beacon, boundary, and approach lights. Beacon, 24-inch rotating with green cover glass. Radio marker beacon, call KCCO, Identifying signal "B" ( . ..), operating frequency 230 kc. Teletypewriter. No servicing.